Face to Face – Ministry International Inc.
Now Joshua the son of Nun was full of the spirit of wisdom, for Moses had laid his hands on him; so the children of Israel heeded him, and did as the Lord had commanded Moses. But since then there has not arisen in Israel a prophet like Moses, who the Lord knew face to face, in all the signs and wonders which the Lord sent him to do in the land of Egypt, before Pharaoh, before all his servants, and in all his land, and by all that mighty power and all the great terror which Moses performed in the sight of all Israel. As I read this scripture, I thought about Moses. Moses – the one that ran and hid. Moses – the one that felt inadequate. Moses – the one who murdered another. Moses – full of wisdom and prophecy. Moses – a leader and deliverer. Moses – performing signs and wonders with mighty power and great terror. Moses – fellowshipped with the Lord face to face. Moses. Moses was a friend of God. Oh, to worship the Lord face to face. To get past all the insecurities; move beyond the self doubt, the fear, and the what if’s. To dwell in the Secret Place, walk in the anointing, and perform great exploits. Isn’t that the cry of your heart? It is mine. Psalm 103:7 says, “The Lord made His ways known to Moses.” Why? What was it about Moses that the Lord felt comfortable with? Moses wasn’t perfect. He made so many mistakes (and he paid for them) just like you and I; however, Moses had a heart that pursued God. Is your heart pursuing Him? Are you a friend of God? Deuteronomy 34:7 tells us that although Moses was 120 years old when he died, his eye was not dim, nor his vigor abated! He was satisfied with favor and full of the blessing! Lay aside everything that hinders you and pursue the Lord with everything you have for He is a great rewarder of those who seek Him! See other blog posts in the link below. 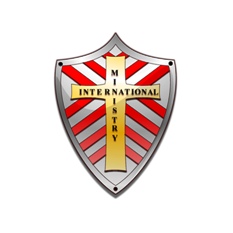 MII is a ministry to ministers and Bible Institute which features personal ministry, ministerial credentialing, and extension campuses through local churches and other approved locations.